Wild and vibrant 5 1/2 x 8 1/2  greeting cards that are blank inside and printed on quality matte card stock with white envelopes. ArtCards are enclosed in a protective clear plastic poly bag that is sealed and tied with a color-coordinated ribbon. The perfect way to send the gift of art to someone special for any occasion. ArtCards can also be purchased in a single card, as well as a Fine Print in various sizes. 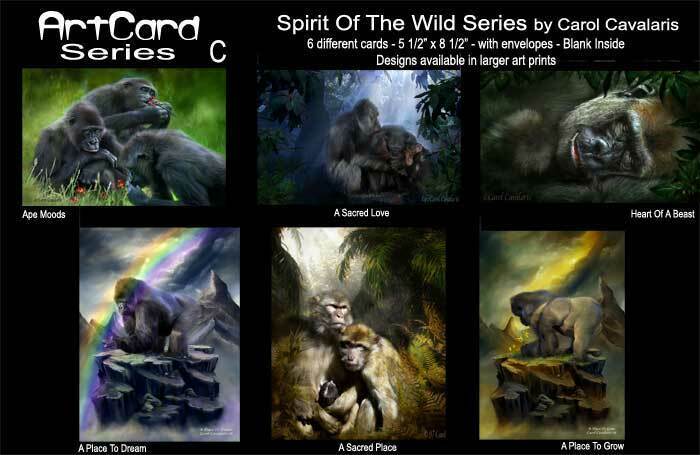 View all the ArtCard 6-Paks in the Spirit of the Wild Series.